Oxygen is key to human survival and with every growing modernization and the pollution it brings along, respiratory problems have become more rampant than they were. With this, people also have seen a loss in immunity to minor conditions thus making artificial oxygen supply a need in the recent past. Fortunately, technology has the perfect answer to our oxygen needs with oxygen regulators. Oxygen regulators are devices that allow a person to adjust the liter flow from 1-25 liters per minute depending on the liter flow the doctor has prescribed for the device you are using. There are regulators for children too where the regulation is from 1 -32 liters and comes in small doses. In layman’s terms, an oxygen regulator is a device that regulates the flow of the oxygen from the tank so that the right amount of oxygen is given to the patient. What is a Conserving Regulator? The Oxygen conserving regulators help your oxygen tank last about 5 times more than a continuous oxygen regulator at the same flow rate. A pulse dose of oxygen is given to the patient whenever the patient breathes. 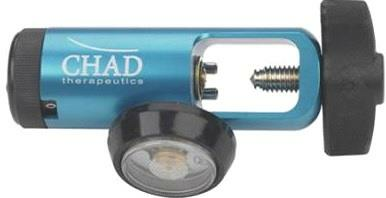 The oxygen conserving regulators only give out oxygen when they are initiated by the patient. The problem with these types of regulators is that if the patient breathes through the mouth or does not take a deep breath, the device won’t trigger and the pulse dose of oxygen will not be delivered. Most oxygen conserving regulators are highly sensitive to work with most patients but there are many situations where the patient does require a continuous flow regulator. What is a Continuous Regulator? Continuous flow oxygen regulators are attached on the top of your oxygen tank and have a dial that allows the patient to adjust their oxygen flow. These regulators provide continuous flow settings and so they get used up and empty your oxygen tank more quickly depending on how high is your intake and how often do you use your oxygen tank. How to attach and use the Oxygen Regulator? Where to buy Oxygen Regulators online? Shop Nebulizer offers a wide range of oxygen regulators, including continuous oxygen regulators, conserving oxygen regulators, pediatric oxygen regulators, heavy duty regulators, and many more. Oxygen Regulators are divided into two major types, continuous oxygen regulators and conserving oxygen regulators. They are also divided on the amount of oxygen they deliver or their LPM (liter per minute) rate. 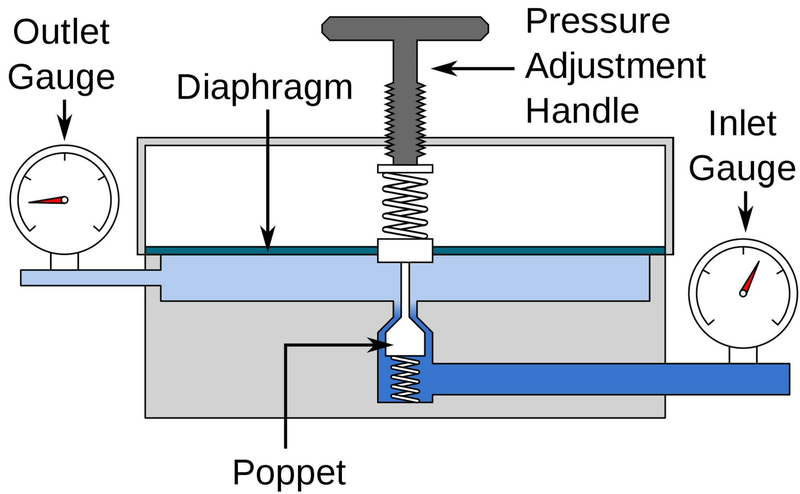 The LPM rate of an oxygen regulator indicates the maximum amount of oxygen the regulator can dispense in one minute and doesn’t indicate a fixed amount. Pediatric Oxygen regulators have an LPM rate of 3 to 4 as they are recommended for children. They are smaller in size and have a more controlled supply. Heavy Duty Oxygen regulators are for people who have been diagnosed with heavy breathing problems and require additional oxygen as compared to others. 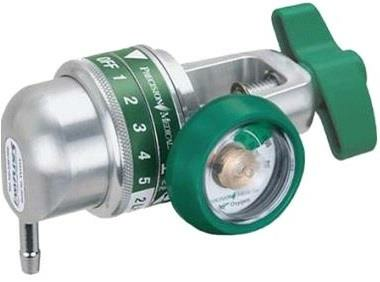 The LPM rate of these regulators is around 25 LPM. 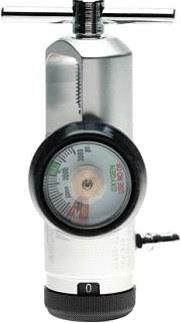 Standard Oxygen Regulators include two broad LPM rates, the 8 LPM Oxygen Regulator and the 15 LPM Oxygen Regulator. Some have both options and can be set to both 8 LPM and 15 LPM. 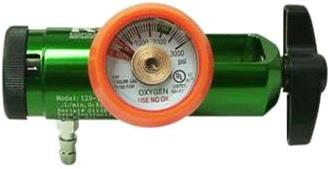 Mini Oxygen Regulators are for smaller oxygen cylinders and have the same limit as a Standard Oxygen Regulator. Oxygen regulators are an important part of oxygen therapy and supplying external oxygen to patients. 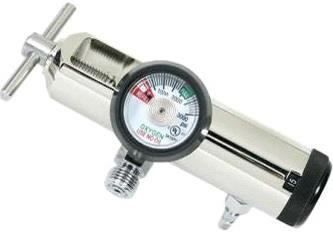 A fault in the regulator can imbalance the oxygen supply or contaminate the gas, both of which could harm the user. Choose the right oxygen regulator for a easy and enhanced oxygen therapy experience.